Our brilliant DJs have performed hundreds of mobile discos up and down the country and have had over 15 years to perfect the art of producing the perfect party, our DJs have the skills and knowledge to get you on the dance floor to give your guests the most fantastic evening to remember. When it comes to creating the perfect evening for you and your guests, the responsibility is in the hands of your Discokandi DJ. By choosing a Discokandi DJ, you can be certain that they’ll select the right track and the right time to delight your guests and get the dance floor jumping. We have a huge music catalogue and we cover every genre. Your Discokandi DJ will create the perfect playlist to suit your individual needs. Moreover, we can be flexible and we’re even able to live stream on the day if you decide to be spontaneous and add new tracks to your playlist. 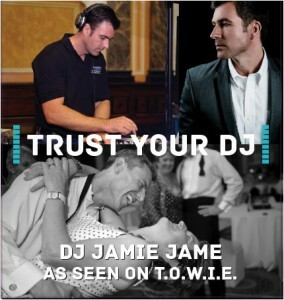 If you need a wedding DJ in London, Essex, Brentwood, Chelmsford, Colchester or Hertfordshire then look no further. Contact us today to find out more!